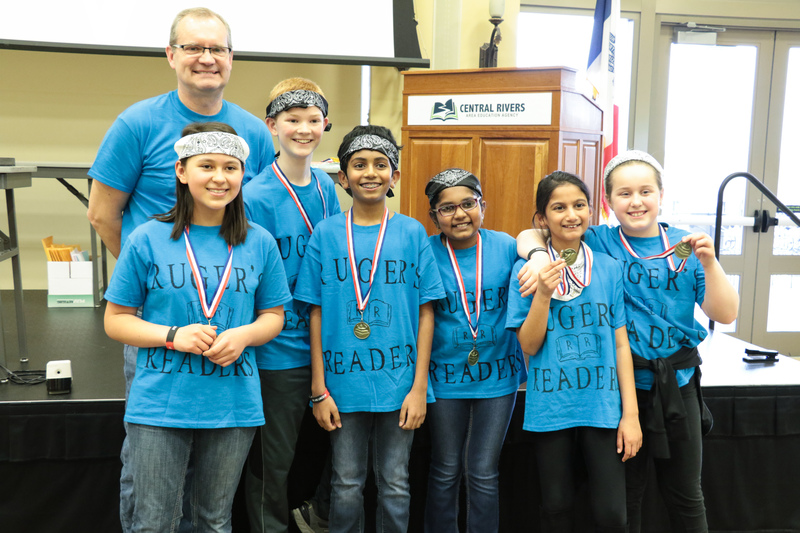 We just wrapped up our annual Battle of the Books competition held at the Central Rivers AEA Cedar Falls office. 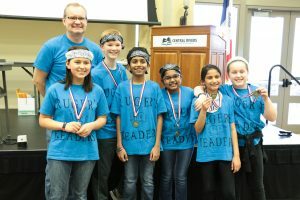 Battle of the Books is a collaborative reading competition designed to enhance student commitment, team building, and reading comprehension in a fun, informative manner. Teams of up to six students read from a pre-selected list of books and the competition included both written and oral responses. 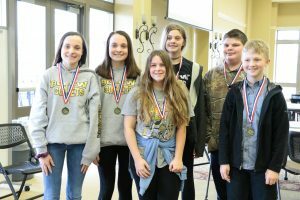 Each day, 300+ students on 52 teams participated with elementary students competing on Thursday, April 4 and middle school students competing on Friday, April 5. All together over 600 students participated in the event and each winning team enjoyed lunch with special guest, Author Sarah Prineas. Congrats to Lincoln Intermediate School from Mason City for winning the elementary competition and to BCLUW for winning the middle school competition!